Posted Wednesday, November 20th, 2013 by Steve Leigh. If you’ve purchased an HP Printer, you might notice that the printer won’t allow you to install your cartridge. 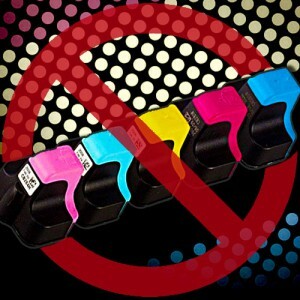 Is HP trying to block you from using compatible and remanufactured supplies? Not exactly. With some new printers, HP introduced a Cartridge Protection feature that is designed to protect against counterfeit products posing as genuine HP supplies. Unfortunately, it often has the side effect of blocking less expensive compatible and remanufactured supplies. Posted Wednesday, September 29th, 2010 by Greg Gladman. 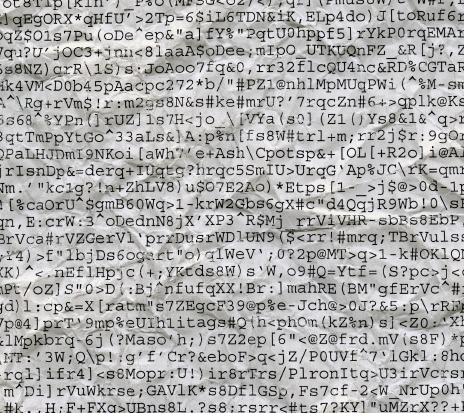 There are many different problems that crop up from time to time when printing, but one of the most frustrating is when a printer starts printing gibberish instead of the document or image you sent to be printed. 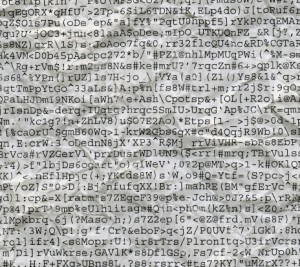 Gibberish printing often looks like a random combination of letters, number, symbols, and other characters, which bear little or no resemblance to what you intended to print. An example of printed gibberish.